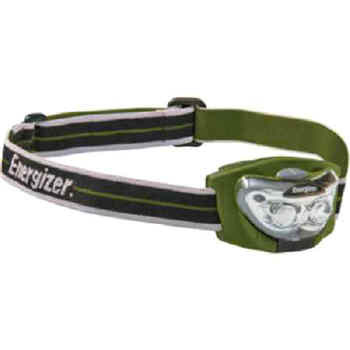 Also lightweight, versatile, and comfortable, the 3 LED Headlight is perfect for work that requires both hands. It puts light where the user is looking with its swivel and tilt adjustment. Its variable light sources allow the best illumination for the job, too—white spot or night-vision red—without changing lights. 2 5/8"L x 1 3/4"H x 2 3/8"Dia.